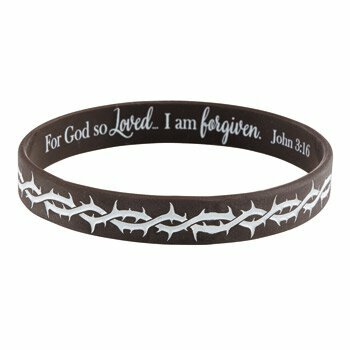 Each silicone bracelet features the words "For God so loved... 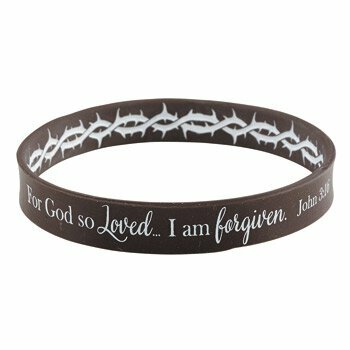 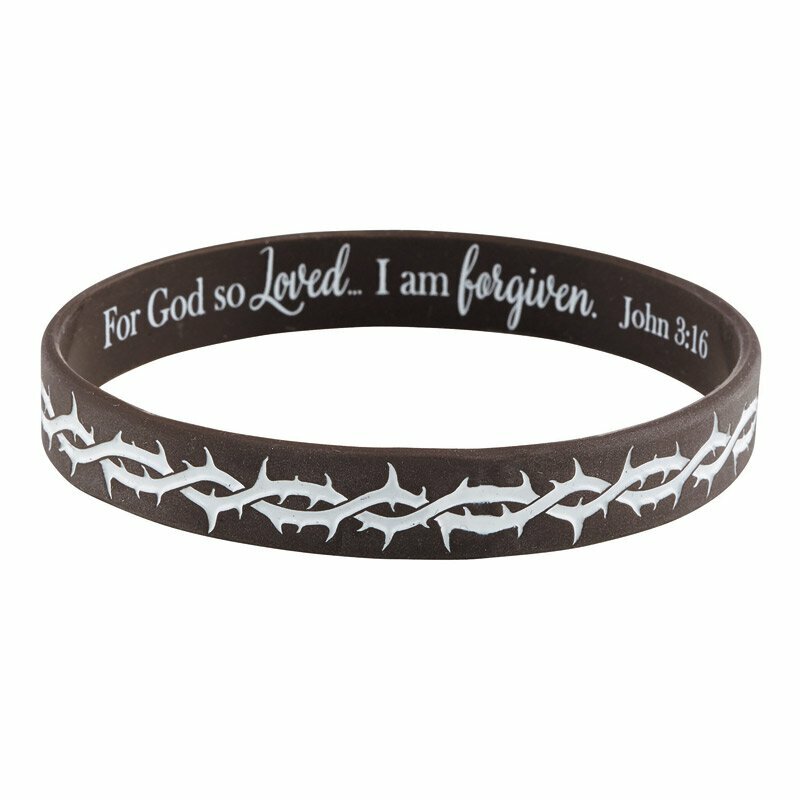 I'm forgiven" on one side, and a crown of thorns design on the other. 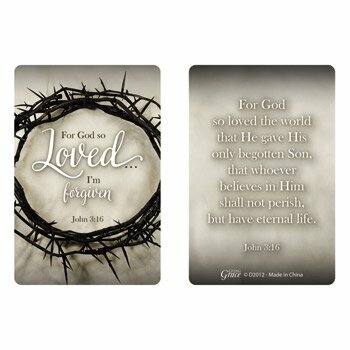 Includes a full-color laminated card with Bible verse John 3:16.